I came to that conclusion as I tore into my morning grapefruit sans spoon. You see, I take a piece of fruit to work every weekday morning to eat for breakfast. Up to this point, I’d chosen bananas, plums, apples, and cherries. But as the seasons change, it was time to switch up. So…grapefruit. Yeah. 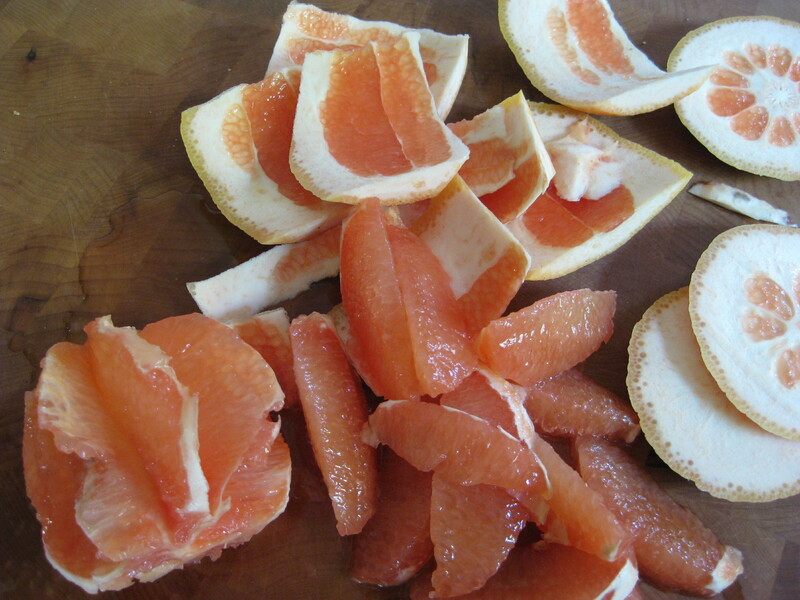 Well, I didn’t take the time to cut it in half and do all that prep work that renders grapefruit sections easy to eat. I, instead, chose to peel it and eat it much like you would an orange. Except, the skin around the sections is well, horrendously bitter. I mean, the kind of bitter that twists one’s mouth up as if getting ready for a Hollywood style screen kiss. BLAH! So there I am, seated at my desk, paper towel all around in an attempt to catch the juice as it dribbles down my chin and hands. Why is it dribbling, you may ask? It’s dribbling because I’m trying to eat only the pulp, LOL. I’m slurping my way around the membrane between the sections and it’s not going very well. I’ve got pulp and juice running down my arm to my elbow, sprinkled on both cheeks, and Heaven help me, in the fibers of my wig. It was not pretty. But in the midst of all that, I came to the conclusion that I am going to add two more lines to the ending of the book. Wanna know what they are? If not, you can stop reading now. I managed to work on the cover art, but unlike my other covers, this one is not an easy deal for me and my limited graphic design skills. So, won’t be sharing it just yet. ;-). Hold the fort, just got hit with inspiration so a cover reveal may happen after all. Stop back by later on this evening, eh? Yeuch, how can you eat grapefruit?